We are locally owned and operated, with more than four decades of proven professional experience in providing a wide variety of private and commercial security services. We are the Central Valley’s largest patrol company with over 50 patrol vehicles and 300 security officers. Our company philosophy of ensuring customer satisfaction and creating peace of mind means we focus on quick response – all locally dispatched. We provide this personal service through live dispatchers who are part of our wholly-owned, local, alarm monitoring system. Turner Security was started originally as a private investigation company in 1970 by Don Turner. He was friends with the chief of the Fresno Police Department who suggested Don start a security company as well. Don started the security company in 1972 and began providing security services essentially for the police department at events such as concerts at the convention center. It allowed them to free up officers to patrol the streets instead of being security guards at hockey games. Don and his company had a recognized name and developed a great reputation in the security business. The company grew rapidly from there. Don’s wife was his controller. Don’s son John grew up in the business. He has officially been part of the company since 1989 and is now the CEO. Don and his wife are retired and enjoying life at the coast while John continues to build the company. “My name is John Turner, CEO at Turner Security Systems. My father founded the company in 1972. We are family owned and operated. We specialize in vehicle patrol services, standing security services and central station fire and alarm monitoring. If you have any questions, feel free to give us a call. I will personally come and out and give you a free consulation to address your security concerns. John has a degree in criminology from Fresno State, where he was on scholarship to play football. There was one vehicle and 20 guards when he started with the company. We now 50 vehicles and more than 300 guards. He has also been involved with the Fresno Police Department. One thing he’s most proud of his involvement with the Valley Crime Stoppers program. They had called him 20 years ago, asking for donations. He had been providing services, but they were struggling for funds. John joined the board and suggested a big event to raise funds. John spent 10 years on their board. His tenure culminated in a year that netted $100,000 for the organization. He’s no longer on the board, but still goes to the party every year, buying a table and helping with fundraising. Valley Crime Stoppers is now a thriving organization and helps the community help the police find and get more criminals than ever off the streets of the Valley. In 2000, we had a private, central monitoring station built just for Turner Security in 2000. It was a huge investment in equipment and technology but has allowed us to handle all of our home and business alarm monitoring locally, using our own employees and computer network. Because of our company’s long relationship with the Fresno Police Department and because of our technology investments, we continue to enjoy an excellent reputation with the PD. 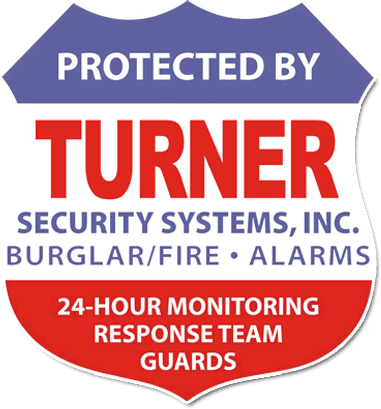 For example, Turner reports so few false alarms – by utilizing video alarm systems and confirmation by vehicle patrol guards – that Fresno PD is often on scene within minutes when we report an intruder. We enjoy the security business and the satisfaction of knowing that we are making our entire community safer – not just our clients. Because we can take on lower priority issues such as chasing off trespassers or deterring theft in the first place, we free up the police and their limited resources to pursue more dangerous criminals. Our greatest satisfaction is preventing bad things from happening to people and businesses. Everyone on our team, from our CEO John Turner to our newest recruit is motivated by the desire to help protect homes, businesses, people, and their possessions.